Hino Windshield Replacement or Repair - Get Local Hino Auto Glass Prices Instantly! Hino Auto Glass Original Equipment Manufacturer (Hino OEM glass): Toyota ???? The windshield is one of the more important safety features of your truck cab. Its primary function is to block wind, bugs, rocks and other flying debris from contacting the driver and passengers while also providing structural stability to the cab. To help ensure vehicles meet safety standards, the Motor Carrier Safety Improvement Act of 1999 created the government agency Federal Motor Carrier Safety Administration (FMCSA) which began operation on January 1, 2000. FMCSA regulations apply to passenger and multipurpose passenger vehicles, trucks and buses that have a gross weight rating less than 10,000 pounds, excluding forward control vehicles, walk-in vans or vehicles with fold-down or removable windshields. 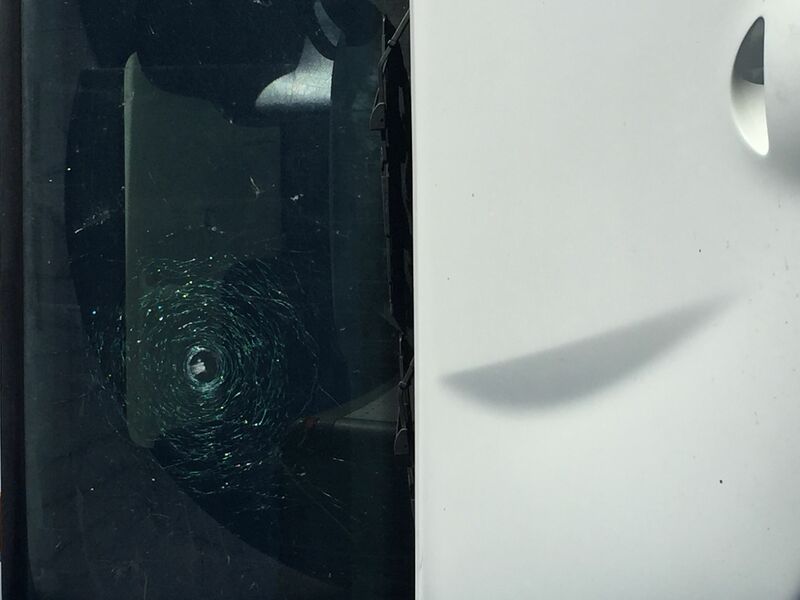 According to the FMCSA, windshields must not be discolored or damaged with the exception of appropriate tinting, cracks that do not intersect another crack or if the windshield damage can be covered by a disc spanning .75 inches or less in diameter. 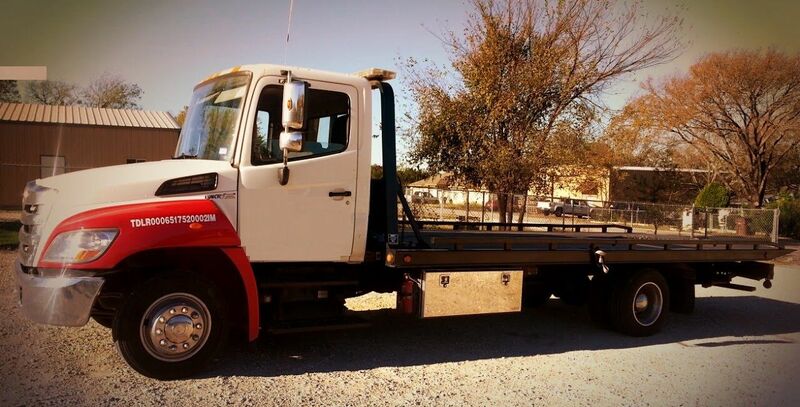 If you own or operate a Hino, you probably drive thousands of miles each year. 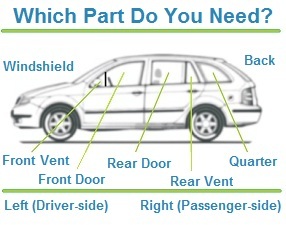 Keeping the vehicle in top condition is essential for safe driving. Should you notice a chip or crack in your windshield, it’s imperative to have it repaired quickly and correctly so you can get back on the road. Driving with a cracked windshield is not only irrating, it can be dangerous. Plus, time away from the road means loss wages. It’s important to find an auto glass repair shop that provides high-quality work that’s completed quickly so you can get back on the job. The Hino series comes in a variety of models, each with its own special auto glass needs. Each requires a specific glass, style and method of installation. The largest contributor to price is labor, not the replacement part. Does the technician need to drop other jobs because you have an emergency situation? How much physical maneuvering and climbing is needed for the technician to reach the spot? Does the glass require moldings or does it have glass floats? Will the technician need to use rope and soapy water to pressure glass into the hole – a process that takes additional skills and talent not every technician has. “Rope in” is labor intensive, a tight fit and it’s easy to break the glass. One person can do it, but two is always better. However, because the glass ‘floats’ – no glue is involved which means there is no curing period after the replacement is complete. If you are in need of a windshield replacement or auto glass repair for your Hino vehicle, you want immediate service. Time is money, and you need to be on the road quickly. Moldings can sometimes be reused, but it’s advisable to go with new. Should it be raining, it’s advised to find a truck stop (TA Service, Pilot, etc.) to have the work done. Rope-in windshield installation means you can drive immediately afterwards because there is no down time waiting for glue to dry/adhere. It’s important for you to know how to assess the quality of auto glass parts used during your Hino windshield replacement and auto glass repair. High quality OEM parts generally give you the best life, although these may be more expensive than originally planned. The warranty offered by known brands on such parts more than makes up for the higher price. To find out the manufacturer of the auto glass being used for your truck’s glass replacement, look for the manufacturer's stamp at the bottom corner. You can even opt for high-quality aftermarket glass from established companies. Major OEM windshield brands are Saint-Gobain Sekurit (SGS), Carlite, Pilkington, PPG, Mopar, and AP Tech. Safelite and Guardian are widely-used American Third Party Aftermarket makes. Heshan Zhengda, Dongguan Brightpower and Shiyan Huachao are the notable Chinese makers of Third Party Aftermarket windshields. A note of interest: the Chinese manufacturers, as far as Europeans and Americans are concerned, make Third Party Aftermarket windshields. However in China and other Far-Eastern countries these products are OEM! For truck and bus models that have been in the market for a while, the glass repair or replacement specialist should be able to find high quality OEM or aftermarket glass at reasonable prices. It always helps to go with a Hino windshield replacement and auto glass repair provider who has been in this field for a many years. Such providers are likely to have a network of sources they can depend on, even when your vehicle needs a one-of-a-kind OEM part. Hino started back in 1910 as Tokyo Gas Industry Company. A company supplying parts to Chiyoda Gas Company. Within two years, the intense competition for gas lighting users between Chiyoda and Tokyo Gas Industry resulted in Tokyo Gas Industry taking over Chiyoda in a merger. Tokyo Gas Industry Company now had the control of the market, but it also had lost its largest parts supplier client. In response, they expanded their product line including electronic parts, and renamed itself as Tokyo Gas and Electric Industry (often abbreviated as Gasuden) or TG&E. TG&E produced its first motor vehicle in 1917, the Model TGE "A-Type" truck and twenty years later merged its automobile division with that of Automobile Industry Co., Ltd. and Kyodo Kokusan K.K., to form Tokyo Automobile Industry Co., Ltd., with TG&E as a shareholder. During 1941, the company changed its name to Diesel Motor Industry Co., Ltd., which would eventually become Isuzu Motors Limited. A new entity of Hino Heavy Industry Co., Ltd. spun itself out from Diesel Motor Industry Co., Ltd. During 1942, and the Hino name was born. Following the end of World War II, the company had to stop producing large diesel engines for marine applications, and with the signing of the treaty, the company dropped the "Heavy" from its name and formally concentrated on the heavy-duty trailer-trucks, buses and diesel engines markets, as Hino Industry Co., Ltd. The company took its name from the location of its headquarters in Hino (Hino-shi?) city, an area of Tokyo. To sharpen its marketing focus to customers, in 1948, the company added the name "Diesel" to become Hino Diesel Industry Co., Ltd. Some of the products manufactured by Hino over the years include the heavy-duty TH10—built for more than 6,000 kg (13,230 lb) payload; the pickup truck Hino Briska and automobiles including the Renault and Contessa 900 sedan. However, Hino ceased private car production very quickly in 1967. In 2001 Toyota Motor Corporation acquired a majority ownership of Hino Motors, Ltd., committing to a vision of global leadership by manufacturing superior performing heavy- and medium-duty trucks at regional manufacturing plants. In America, Hino Trucks are the fastest growing medium-duty truck due to Toyota’s commitment to continuous improvement and team development. Today the Hino Brand is almost 80 years old and is the third-largest truck manufacturer in the world. In fact, if you've ever ridden public transport in Australia, Japan, New Zealand or Korea, you probably rode in a Hino Bus! Also, for most products transported throughout Asia and Europe by truck, chances are Hino manufactured the trucks—thanks to a manufacturing deal with Scania.